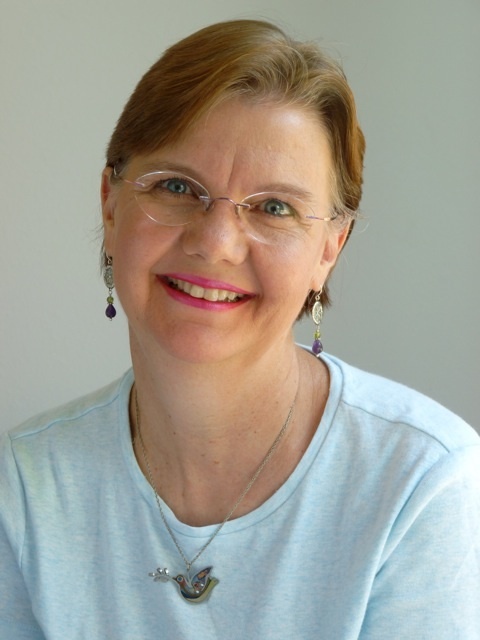 Texan author Kathi Appelt is an award-winning writer of over thirty books. She writes poetry, novels and picture books. Her first novel, The Underneath, was a National Book Award Finalist and a Newbery Honor winner .In addition to her writing, Ms. Appelt is an amazing teacher and mentor for writers around the world. Recently, I caught up with Kathi and we chatted about her advice for writers and which artists inspire her own work. I grew up in Houston, graduated from Spring Branch High School, and then moved to College Station to go to school. With the exception of a stint in Iowa and a year in Dallas, I’ve lived in College Station every since. Oh how I wish I had a “normal” writing day. I’ll just say that I write a lot, but not every single day. You’ve written for all types of audiences. How does your writing process differ as your audience changes? I work hard to always have my audiences in the back of my mind; however I’m not sure that the age of the audience affects my process of writing. That seems to be pretty much the same across the board. Which means that every story starts out a mess and then after revising, revising and revising again, it somehow turns into a real story. In addition to being a successful author, you are also an award-winning writing teacher. Do you have a specific philosophy or curriculum that you follow as a teacher? If so, please describe. Not really a specific curriculum except to read like crazy, and then write like even crazier. I also really encourage my students to turn to their hearts. That’s where I think they’ll find the most inspiration for their stories. I’m particularly fond of Cynthia Rylant for the ways that she can turn a phrase. And I love Toni Morrison for her courage. I’m also a fan of Mary Oliver’s for the honesty of her work. See above: read, read, read; write, write, write. I’m finishing up a middle grade story that will be out sometime in 2013. The title hasn’t been set yet, so you’ll just have to wait with me to find out what it’s going to be called. Do you have any upcoming appearances or events you’d like me to publicize? Not until October when I’ll be in Wisconsin for an SCBWI event. Folks can check my website for upcoming events. All of Kathi’s books are available for purchase either online or at your favorite local bookstore. 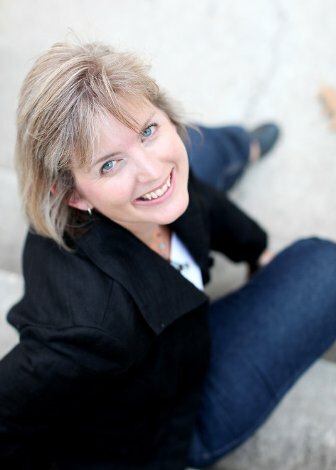 Check out her website www.kathiappelt.com/ for more information about her books and upcoming events. When M. G. King was growing up in southern Indiana on the Ohio River she fantasized about being like her public librarian and driving a rusty bookmobile through snow. And if she managed to chase off neighborhood bullies so children could check out her books, all the better. Inspired by her bookmobile dreams, M.G. penned the picture book Librarian on the Roof! that tells the true story of Rose Aleta Laurell, the brave librarian who climbed the fifty-foot roof of the oldest library in Texas. Ignoring vertigo and violent Texas weather, Ms. Laurell spent a week on the roof , collecting over $40,000 in donations to improve the children’s section and to bring computers and public internet access into her rural, bilingual community. Recently I caught up with M.G. and we discussed her writing schedule, her inspirations and advice for new authors. I grew up in southern Indiana, scooping up minnow in mayonnaise jars out of the Ohio River. Now I live in the Piney Woods just north of Houston, Texas, among flocks of house-trim eating woodpeckers. I wake up at 4 am. No joke! Without an alarm, almost every day. I try to write at least 500 words before everyone else gets up. By seven everyone is tromping through the house searching for sneakers and homework, the phone starts ringing, and the dog is begging for a walk. Productivity goes downhill from there. Sometimes the muse hangs on for longer. I can get so focused on the story in front of me that I tune out everything else and I don’t even need to eat. That happens a couple times a year. Right now, writing is mostly a hard slog between interruptions. But that’s a deliberate choice — my kids are at the age where they still think it’s fun to have mom around. I don’t want to miss out. All too soon, I’ll have more time to focus on writing. Being with my kids and their friends helps me see the world from their point of view — what they find funny or frightening or fascinating. I also read widely. Fiction, nonfiction, every genre, every age range. The world is filled with ideas and words and images, all waiting to be turned into stories. I’ve learned a lot about failure. Traditional publishing is a highly competitive business, and every step is paved with more “nos” than “yeses.” Every day is a choice to give up or work harder. I choose to write because there is joy in creativity, even when there are no guarantees. Too many to name! Recent favs would include the whimsical Ingrid Law (Savvy, Scumble); for boys, I adore Gary D. Schmidt (Wednesday Wars, Okay for Now) — his prose is funny and honest, and doesn’t condescend to flat stereotypes. I love the poetic style of Kate DiCamillo, and the intelligence of Trenton Lee Stewart (The Mysterious Benedict Society series). Read a lot. Read out loud. Hear the way the words flow, or don’t flow. Write even more. The American crime writer John D. MacDonald was credited with the famous statement that you have to write a million words to find your own unique voice. I love to dabble in both picture books and novels for tweens. Right now I’m working on a seaside puzzle mystery (think The Westing Game, with sand and sapphire crabs) and a picture book biography for math lovers. Do you have any upcoming appearances or events? Not right now. I’m wrapping up school and Skype visits for the year, and hunkering down to focus on my writing for awhile. You can always find me on my website www.mgking.us/. M.G. King’s books are available either in local bookstores or any online bookseller.